If your child is 1 years-old or their first teeth have come in, be sure to take them to their first dentist appointment. 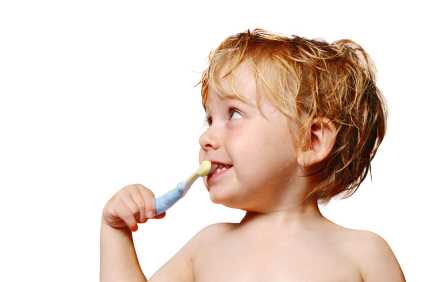 Giving your child the proper oral care is essential to their well-being. We all know that maintaining oral health is important, especially when it comes to children. Experts suggest that parents should start taking care of their children’s oral health at age 1 or as soon as their first teeth come in. However, a report from C.S. Mott Children’s Hospital indicates that the majority of children from ages 1-2 have not even begun seeing a dentist. At Suter Brook Dental Group, we want to encourage our Port Moody patients to bring their children to our dental office as soon as they turn 1 or as soon as their first teeth come in. We will give your child the proper oral care they need, so they can lead healthy lives with a lifetime of smiles. The reason that children may not be getting the proper oral care is because parents may be oblivious when it comes to early dental care. At Suter Brook Dental Group, we can discuss your child’s proper oral care and what steps you need to take to ensure your child is getting the dental care they need. For more information about proper oral care at Suter Brook Dental Group in Port Moody or to book an appointment, please click here.